161 - 180 of 225 entries. Provides website design, extranet development, search engine optimisation and online marketing as well as e-commerce solutions. Clients include Everton Football Club and Chester Race Company. Services range from web design solutions to e-commerce solutions at affordable prices. Cheshire based internet marketing company providing professional search engine optimisation and pay per click management throughout the UK. 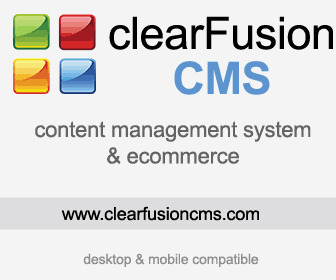 Based in Manchester, providing quality website design, content management systems and e-commerce solutions. Providing search engine optimisation, website marketing, mobile web design and development. Core services include e-commerce online solutions and project authoring. Website Design SEO studio based in Bolton Manchester. Hatch Media specialise in website design, SEO, Web Hosting and Graphic design bringing modern and visually impelling sites to the net. The company approaches web design and development from a business perspective - what use is a website if it is not bringing you more customers? Get a signature website from a UK web design, hosting and website marketing company. Professional web developers based in Kent with a diverse portfolio of clients. Websmart use several years of experience to provide a complete package to the small UK business seeking an affordable internet marketing solution. An unrivaled design brief process enables web:4:sme to produce unique websites for small business clients. Marketing company for the UK small business. Providers of web design, web optimisation, graphic design services and ecommerce website design. Based in Chard, Somerset, Somerset Design produce Websites with a clear, direct approach. Somerset Design is dedicated to helping small and medium sized businesses prosper online. SWS create websites for businesses and organisations in the private and public sector. SWS work to strict quality standards. Web and graphic design, photography and marketing by source in Shrewsbury and Telford. Professional website design and promotion services plus range of hosting and content management solutions, well established client base worldwide. Web design company based in Edinburgh, specialising in creative clients such as authors, publishers, musicians, and actors. A professional design business located in North Wales Prestatyn. Including e-commerce, database, virtual tours and static html websites. Also offering graphic design, corporate imaging, illustration.